You save at least $11.98 by hiring a APL Lawn Spraying. You save more than a little cash - there are no more messy chemicals or broken bags when you hire APL Lawn Spraying! You don't go to the store, load and unload the dirty bags of fertilize or spread it on your lawn. 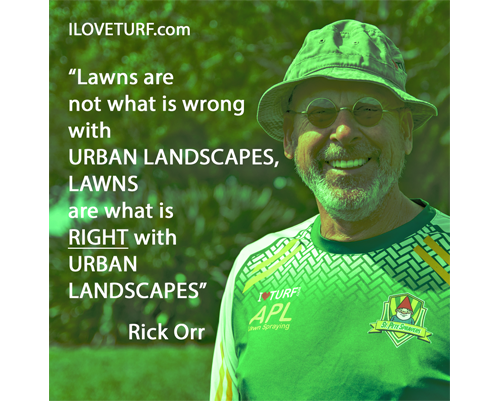 You don't even have to spend the time learning what is best for your lawn. I wanted to compare oranges to oranges however, professional fertilizers, herbicides and insecticides are not sold at your local home improvement store. And the application equipment is not comparable to the plastic whirly gig rig sold at retail centers. So I did the best I could by picking the products I would buy if I was purchasing for my St Augustine turf grass lawn. For DIY St Augustine turf grass lawn care, granular fertilizer are adequate. Granular insecticides are not as effective as liquid, but do provide some control. The spreader used to apply granular products is available and inexpensive. The cheap rotary spreader is not as accurate as the specialized equipment required to do liquid applications. 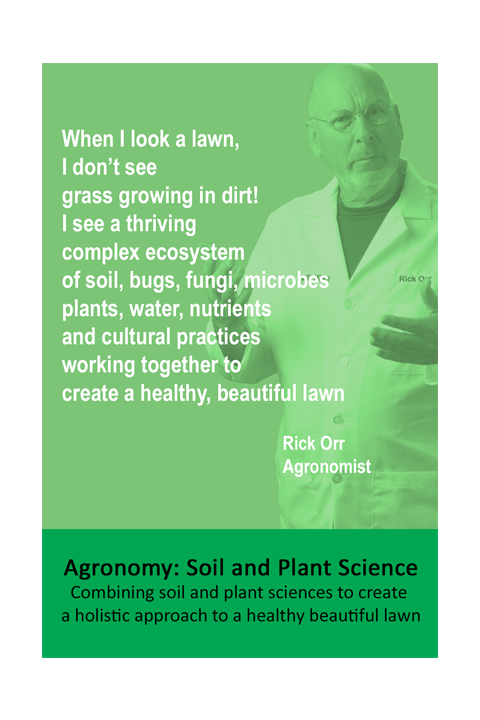 And, although granular products are good, they are not as effective as professional fertilizers and pesticides. APL Lawn Spraying charges $65.00 per application for a typical interior lot (about 5000 sq ft of lawn). APL Lawn Spraying uses the best fertilizers custom blended for Pinellas County sandy soils. To keep your St Augustine turf grass lawn safe from chinch bugs, grubs, sod webworms and more I use professional insecticides and additives. For control of dollar weed, sedges, day flower and more I use professional herbicides that control weeds and are harmless to St Augustine turf grass lawns. Note: Chinch bug damage to St Augustine turf grass lawns is so complete that the lawn does not recover. Prevention of Chinch bugs is best. Starting early and often with insecticides to kill chinch bugs will save you the cost of replacing your St Augustine turf grass lawn. For the DIY'er, the typical spring time weed and feed application for a St Augustine Turf Grass lawn plus an insecticide will cost $76.98. The cost to have APL Lawn Spraying do the job is $65.00. 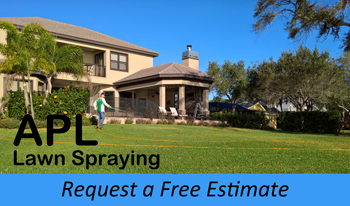 For Condo's, HOA's and Large Commercial Properties – APL Lawn Spraying costs Less Too! Large properties are my specialty. I am available to work with your board or president to design a program that will fit your budget and goals. It has been noted that the 17# bag cost less and is labeled for 5000 ft2. Here is why I used the 34# bag for this study. The 34 lb. bag contains less than 9.86 lbs. of N. If you were to spread that evenly over the lawn you would barely get 2 lbs. of N per 1000 ft2. By the time you calculate in the waste into edges, and beds, you are getting about 1.5 lbs. per 1000 sq. ft. This would be a little high. So using about 2/3 of the bag would give the desirable effect. As to the 17 lb. bag, you would be getting much less than 1lb per 1000 ft2. After waste, that would be low. Also, the higher rate would yield more atrazine and better weed control. The lower rate of the 17 lb bag would have little or no effect on the weeds and basically a waste of money. To compare oranges to oranges, you would have to buy the larger bag to get comparable results. Basically, it takes more of the consumer product to get the same professional product. If done on math not results, you DIY would cost less by $9.32. If you compare results and yield, my rates are more comparable. It would have been better if they had a bag weight in the middle – say 25#.